This amazing palace has the honor of being the highest ancient palace in the world, with its highest point reaching 3,750 meters (12,300 feet) above sea level, towering 100 meters (300 feet) above the city of Lhasa. It was built as the center of Tibetan government by the fifth Dalai Lama in 1645. This 13-stories-high palace has over 1,000 rooms, and covers over 13 hectares (32 acres). The stone walls measure 3 meters (10 feet) thick on average. 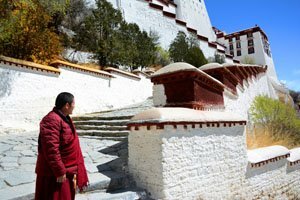 As June to August is the peak season in Lhasa, to protect the Potala Palace and the relics inside, visitor numbers are strictly limited. Only 2,500 tickets can be bought per day in groups of 7 max. 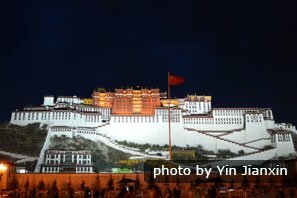 So while you should still visit the Potala, it is likely not to be at the planned time. The Potala Palace has stood for centuries as a testament to the Tibetan people and their beliefs. Thousands of pilgrims from around the world come every year to pay homage to this grand estate and the symbol it stands for. Considered to be one of the wonders of the world for its physical structure and its importance in Tibetan history, the Potala Palace is admired by all who visit. 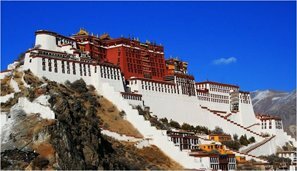 The general structure of the Potala Palace is in two parts: the Red Palace and the White Palace. The beautiful murals inside the palace are not only attractive, but also tell the story of Tibet. The golden roof group on the top of the Red Palace is worth seeing. The Red Palace is the higher of the two palaces, and is made up of several chapels. Used as a house of prayer by the Dalai Lama, this part of the Potala Palace was dedicated to the study of Buddhism and the advancement of the religion. Housed within the Red Palace are several mausoleums of previous Dalai Lamas. Each mausoleum is built with stateliness and honor in mind. The mausoleum of the fifth Dalai Lama (the Potala&apos;s patron), located in the west of the palace stands five stories high, is overlaid with gold, diamonds, pearls, and many other precious gems, and expresses the high honor the people had for this Buddhist saint. The White Palace was home to ten successive Dalai Lamas and their courts. Also located there are the offices of the Tibetan government, governmental assembly halls, and other official offices. The original White Palace was built as a present from King Songtsan Gampo to his bride-to-be in 637, but destroyed during the ninth century. 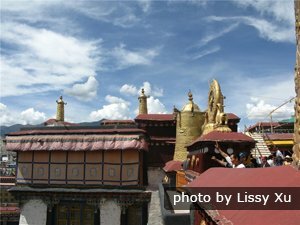 The fifth Dalai Lama built the current one on its site, and therefore, this structure pays homage to him in greater measure than previous Dalai Lamas or those that would follow. After Norbulingka was built in 1755, it became the summer residence of the Dalai Lama, and the White Palace became known as the winter estate of this saint of Buddhism. Housed within this amazing stone and wood structure are articles and artifacts from Tibetan history, religion, and culture. Statues of Buddha, murals, and antiques that are centuries old, and incredible works of art grace every area of this mountaintop palace. The elaborate works of art and murals tell many stories of the Dalai Lamas and the history of the Tibetan people, and depict different customs and traditions held dear in this beautiful part of the world. One area of particular importance is the wall frescoes that depict the life and works of the fifth Dalai Lama. Other precious works of art include ornate statues, sculptures, and Tibetan paintings. Of all the ornate decorations located within these sacred walls, visitors should take time to visit the topmost hall. Called Sasong Langjie, this hall was built in 1679 and contains a portrait of the Qing Emperor Qianlong. An inscription on this portrait “A long, long life to the present emperor” is written in the languages of Han, Manchu, Mongol, and Tibetan. 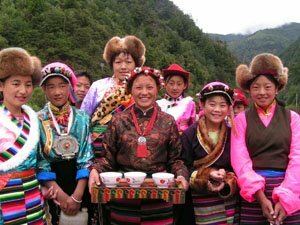 It is here that Dalai Lamas have come to pay homage every Tibetan New Year&apos;s Day for centuries as they pray for guidance and direction for the Tibetan people. The golden roof group is a unique view of the Potala Palace. It&apos;s on the top of the Red Palace, composed of seven roofs made of gilded bronze. They are the tops of the holy stupas of the Dalai Lamas. Every golden roof is decorated with one to five flower-and-bell-shaped spires, which serve as lightning conductors. If you step out on the palace roof, you can see the blue sky and white cloud above your head and overlook the city. Entry tickets are hard to get. 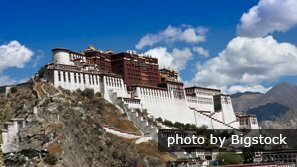 The Potala Palace is a protected site. For this reason, the government has limited the number of visitors allowed up the mountain each day. Tickets sell quickly, so it is best to book in advance. Only 1-hour visits are permitted in high season. Once inside, visitors are allowed approximately 1 hour to visit the site before being asked to leave, so that many more people can enjoy the beauty of this wondrous site. Research well beforehand. 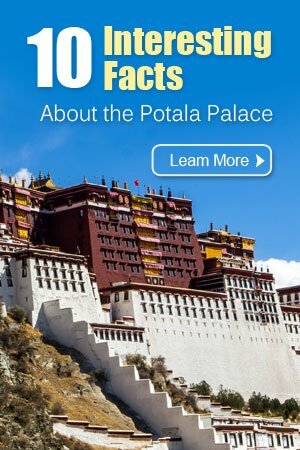 Before you enter the Potala Palace, get some knowledge about it or you won&apos;t understand what the guide is talking about. Climbing steps at high altitude requires good physical condition. There is no lift up to the palace or inside, so visitors reach the top by climbing steps up 100 meters (300 feet). Go slowly and enjoy the view to avoid altitude sickness or other discomfort. Dress respectfully and for the coolness. Modest clothing is encouraged, as this is a sacred site. Hats are not allowed. Bring a coat, because it&apos;s quite cool inside the Potala Palace. No photos! Photography, video equipment, and other recording devices are not allowed, due to the sacred nature of the site and the relics held within the sacred walls. Security check: To ensure a safe and secure environment security checkpoints are set up to remove prohibited items from visitors. Please refrain from bringing weapons, flammable liquids, cameras, and other prohibited items to the site. Don&apos;t bring any liquid, including water, inside the palace as well as the museum. And don&apos;t take anything from the palace. The Potala Palace is a must-see. See our popular tours for inspiration. 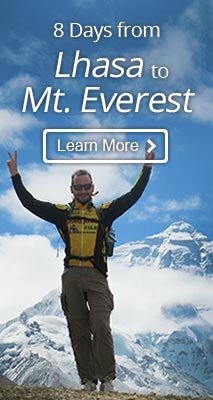 Or contact us to design a unique tour according to your requirements. 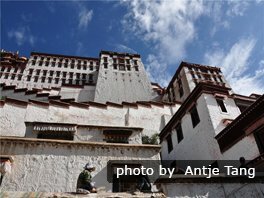 For more Potola Palace tour please see Tibet tours. 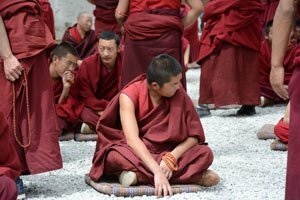 4-Day Lhasa Highlights Comfort Tour Explore mysterious Tibet in comfort. Watch the colorful prayer flags flutter and pilgrims&apos; worshipful walks.